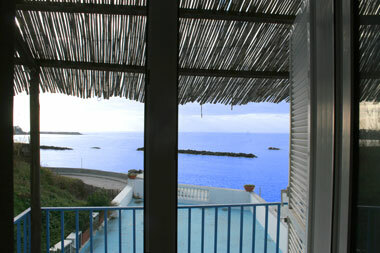 Apartments Rotonda Sul Mare offer charming and comfortable holiday apartments on the gorgeous island of Ischia. The apartments are available for 2 / 4 or 6 people. Fabulously located on the sun-drenched southwest coast of the beautiful San Francesco bay, it sits directly on the beach awaiting your quiet and peaceful afternoons spent in front of dramatic cliffs and sparkling blue water. 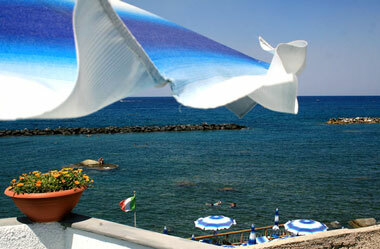 We are delighted to welcome you to Ischia, and we are eager to show you all of the beauty of our island. We offer exellent infrastructure and services. 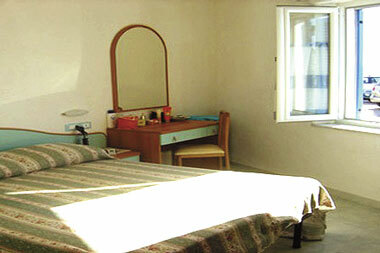 Our apartments have private bathrooms, air conditioning, heating, hair dryer, sat tv. 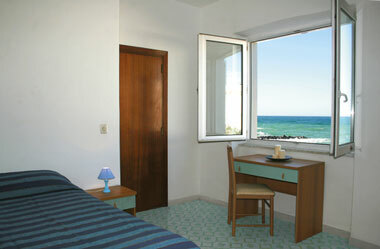 A big solarium in front of ocean is always avayable with unbrellas and sun chairs. We can also provide you with other services such as moped, car and bike rentals for reduced rates, transport to and from area spas and thermal baths, as well as private baby-sitting for a fee. 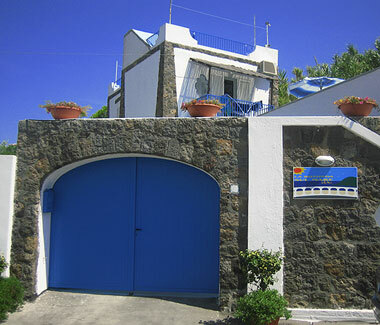 We are located in Forio about 500mt from the port of Forio and 500mt from the centre. From the port of Forio looking at the port go on your right following the sea shore, until you reach some steps that go down the beach and then on a big parking, we are right on the parking. 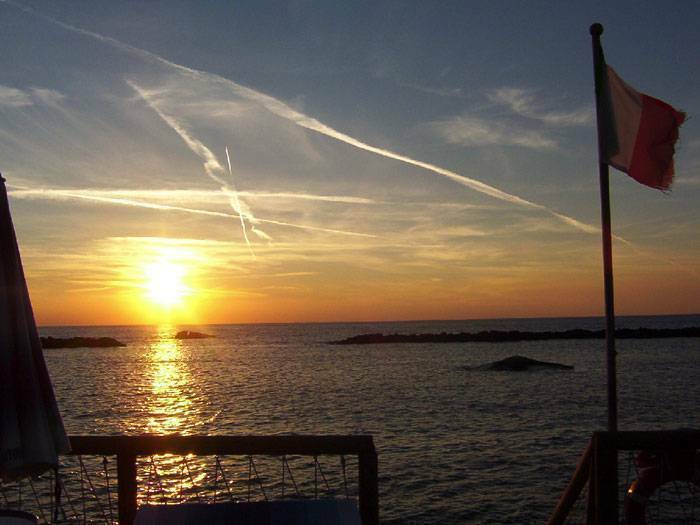 The Island of Ischia is connected to the main land with ferries or hidrofoile, they start every hour from "Molo Beverello"(The main port), from Mergellina (2nd port of Ischia, only hidrofoile) and from Pozzuoli (only ferries) . Arriving by train out of train station there are taxi or bus direct to the port witch is 2 Km far.